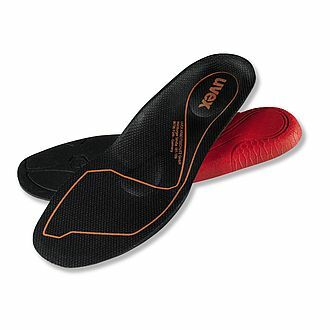 uvex 1 safety shoes in protection classes S1 and S2 protect and support the natural movement of the human body. Based on the latest physiological research and innovative new technology, the shoes reduce the pressure and strain that work places on the body while maximising wearer comfort. The ergonomic design of the uvex 1 safety shoes strikes the perfect balance between protection and comfort. The shoe is designed with clean lines and a minimalist, streamlined aesthetic. The standard defines both the basic and additional requirements for safety shoes for commercial use. The combination of expertise with intelligent materials and processing technologies enables climate-optimised safety shoes. 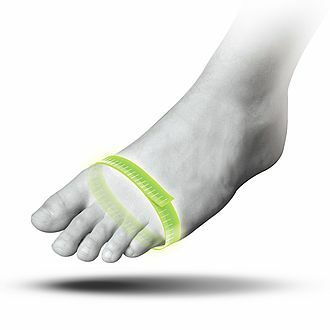 The insole offers full-area shock absorption and ensures comfort in high-strain zones. 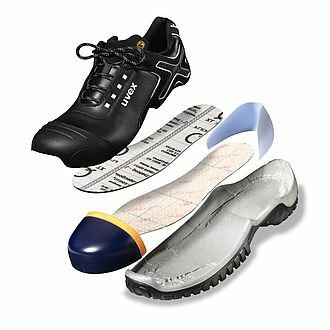 A multiple fit system for safety shoes enables a single shoe model to be offered in different width fittings for the same size. 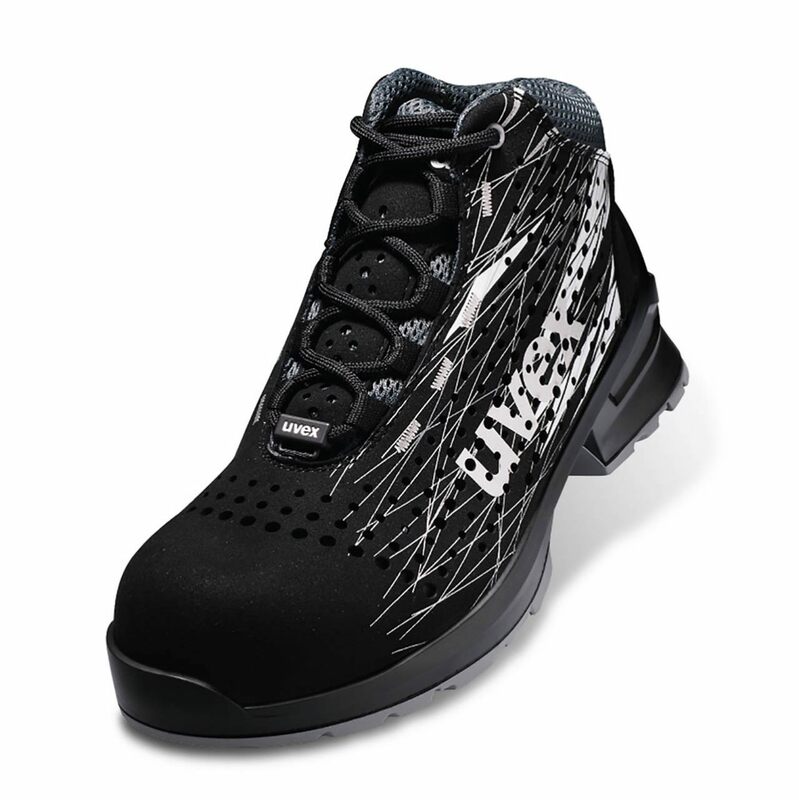 The powerful, completely metal-free safety system consists of a toe cap, penetration-proof midsole and rear cap. 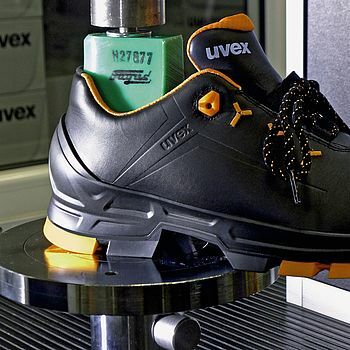 The uvex safety shoes certified for orthopaedic adaptations are based on established uvex technologies.